Lake Ohrid is the pearl of Macedonia’s stunning nature and therefore should be discovered from all angles and perspectives. The beach of Struga in the North marks the starting point of our tour around Lake Ohrid. The town of Struga itself follows the movement of the Black Drin River which flows out of the lake. The beach lies just directly in front of the town’s entrance with a wide range of beach bars and restaurants. Although season in Macedonia lasts until the end of the September, when we were there (2nd week of September) the beach couldn’t be more abandoned. We enjoyed a silent walk amongst lush reed, picturesque fishing boats and surrounding beautiful mountains. Our next stop brings us to the most famous part of the lake. The town of Ohrid is a former capital of the Bulgarian Empire with Tsar Samuel once residing in the famous fortress overlooking the lake. 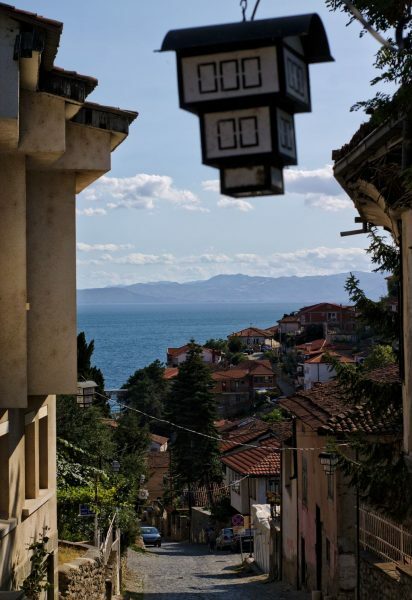 If you enter Ohrid from the road, you pass first through the harbor town with a relatively modern town center. To reach the old town of Ohrid you need to take the stairways leading up to the hills. On the highest plateau you can catch a great view of the Tsar Samuel’s fortress. 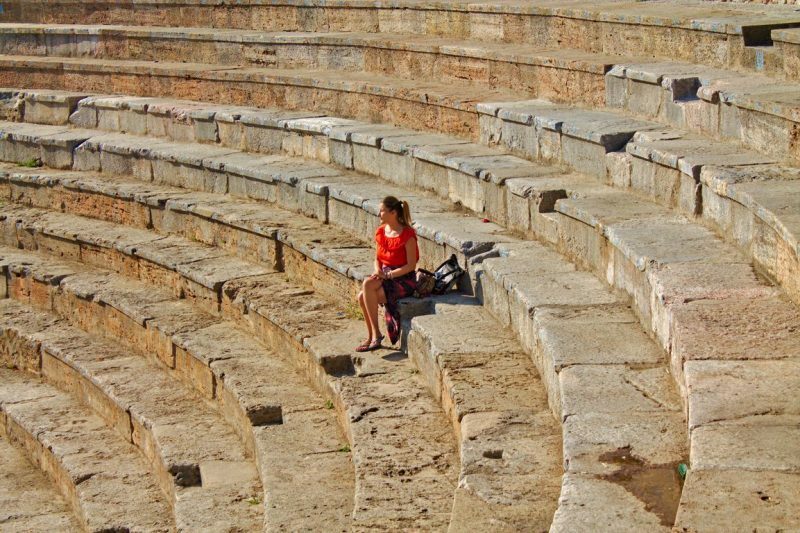 From here, you can take the stony stairways downwards, passing the ancient amphitheater, traditional houses and many restaurants. Once you arrive at the bottom of the hill after a steep walk, you can’t miss the medieval St. Sophia Church with its little garden to rest your legs after the hike. Follow the cobblestone path and you will end up on the old town’s beach. The monastery of Sveti Naum in the South, bordering Albania, involves a long shallow sand bank where you will find the best swimming spots. If you want to explore the nearby spring, you can hire one of the trip boats which will take you to perfectly clear waters and the home of the fairies. 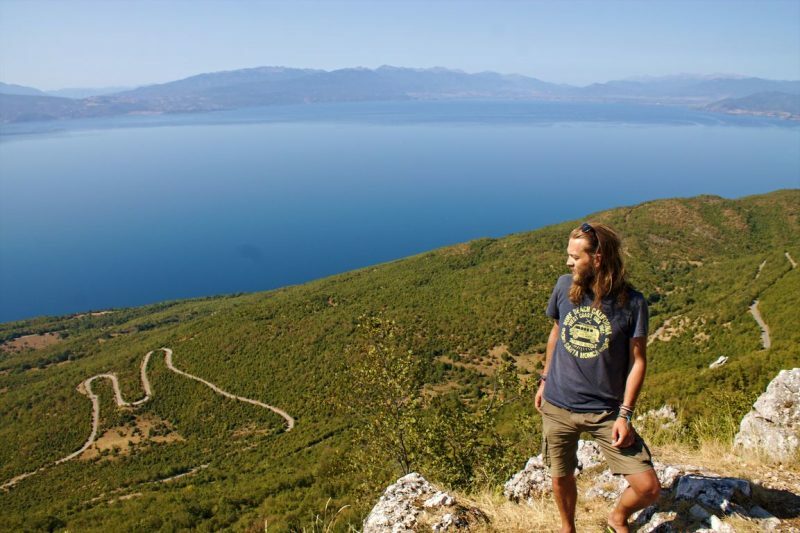 The most incredible view over Lake Ohrid you can gain in Galičica National Park, located on the highest point of the main road towards Macedonia’s second big lake: Prespa. Once you stand on the viewpoint, you will be surprised by how winding the road is that brought you up here. Opposite you can glance a view of Albania’s side of the lake. Standing on the edge of the plateau one can get easily dizzy. 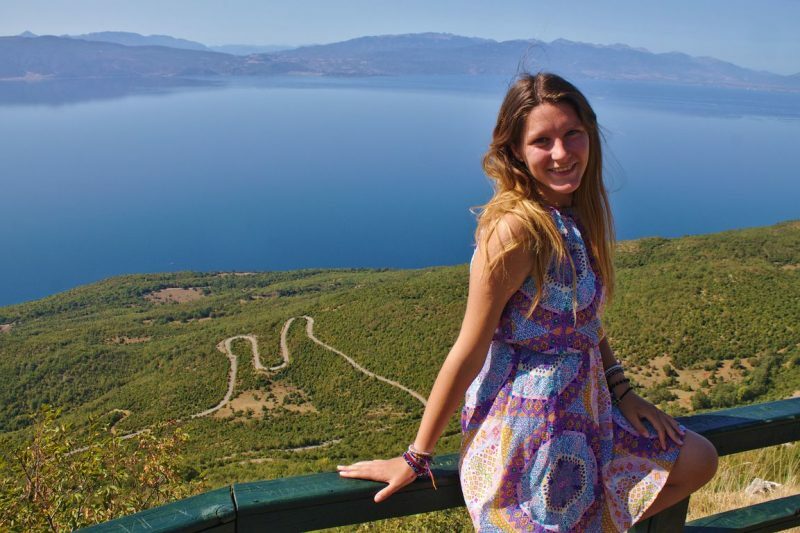 For those who don’t fear extreme heights, it’s the perfect place to breathe in freedom and embrace the beauty of Macedonia’s stunning nature embodied in Lake Ohrid and its many mesmerizing places around. Lake Ohrid offers splendid and breathtaking viewpoints and there are many nice beaches to relax and swim. It’s a wonderful alternative to the sea and surprises with panoramic blue mountain ranges surrounding the lake. However, there is one critical observation we made during our travels: littering in nature reaches a level here that cannot be accepted or ignored any longer. Huge piles of trash, mainly plastic, are dumped in parts which are hidden for the people visiting the beach front but can be spotted within a few meters on the outskirts. 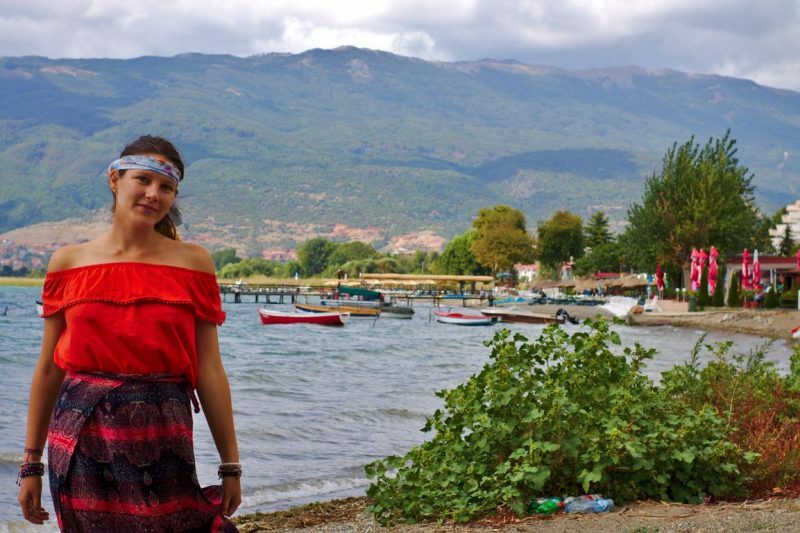 Especially, for a place belonging to the most scenic natural phenomena such as Ohrid is, pollution should be taken seriously by each local and each visitor.